Austria has no recent history of armed conflict and does not face any external armed threat, but is a key contributor to UN peacekeeping missions and provider of international aid and humanitarian assistance. As such, the Austrian NAP has been interpreted in a largely international way, seeking to implement UNSCR 1325 and coordinate humanitarian, diplomatic, peacekeeping and development policy activities. Critical issues of concern include preventing gender-specific violence, and protecting the needs of women and girls within peace missions, humanitarian operations, and in camps for refugees and the internally displaced. The updated NAP contains that same objectives as the first, but after a lack of civil society engagement throughout the initial NAP, the role of civil society in monitoring and implementation has increased. Individual ministries will be responsible for the financing of the activities in the NAP based on its relevance and their budgets. Lastly, there is no specific mention of disarmament in this NAP. WILPF International does not have a country section in Austria and therefore was not involved in the development process of Austria’s NAP. Ten civil society organizations and three specific organizations (CARE Austria, University of Vienna – Department of International Relations, and Ludwig Boltzmann Institute of Human Rights) were consulted prior to the development of the first NAP, and although it was mandated in the NAP, Civil Society was not provided opportunity to have input into the review that informed the current revised NAP. Civil society has an ongoing specified role in providing input on specific cases and to annual reporting. The first and revised NAP articulate that the Inter-ministerial Working Group must hold at least one meeting with Civil Society each year. However Civil Society implementation reviews have noted that although the Inter-ministerial Working Group has been accessible to Civil Society on an ad hoc basis, the requirement to schedule formal meetings had not been met. Further, although required in the NAP, implementation reviews for the first NAP were conducted without Civil Society consultation. Civil Society also has a role outside the limited formal mechanisms specified in the NAP, particularly through oversight, promoting UNSCR 1325, education and training, as well as cooperation and support with international organizations and women at the grass roots level. Civil Society in Austria has lacked coordination, and in recognizing this in 2008, CARE Austria initiated the informal Group of Friends of UN SCR 1325, which has met on a semi-regular basis with government ministries and civil society groups. The development of the NAP was led by the Austrian Inter-ministerial group, that includes the participation of the FCH, the Federal Chancellery, Directariate General II, FMEIA Federal Ministry of European and International Affairs , FMoI Federal Ministry of the Interior, FMoJ Federal Ministry of Justice, FMoDS Federal Ministry of Defense and Sports, and ADA Austrian Development Agency. The Inter-ministerial working group of Austria will continue to operate as the primary Austrian Government mechanism responsible for Austria’s implementation of the UNSCR 1325 and UNSCR 1820. In addition, the UN Entity for Gender Equality and the Empowerment of Women which became operational as of 1 January 2011, has been playing a role in Austria’s process and protocol regarding UNSCR 1325. While an annual meeting takes place, Austria pays close attention to the application of the UN Indicators for monitoring the implementation of UNSCR 1325. Furthermore, while the meeting is held annually, additional meetings and conferences take place, lastly appropriate measures are taken to include civil society, and raise awareness. Strategic Objective 1: Increase the representation of women as well as enhanced consideration of the objectives defined in Resolution 1325 in training activities for international peace operations. Strategic Objective 2: Strengthen the participation of women in peace promoting and conflict resolving activities, especially by promoting local peace initiatives by women and increasing the share of women in decision-making positions in international and European organization. Strategic Objective 3: Prevent gender-specific violence and protecting the needs of women and girls within the scope of peace missions, humanitarian operations and in camps for refugees and internally displaced persons. The Austrian National Action Plan is organized by national, international/regional and bilateral, and development cooperation activities, which can be found in detail in the NAP. Strategic Objective 2 of the Austrian NAP includes a series of actions for practically achieving these goals. Strategies and measures taken to increase the share of women in the overall number of Austrian participants in the UN and EU peace operations and OSCE missions. Deployment of gender experts, gender advisors, junior officer professionals and other experts. Balanced nominations of male and female Austrians to EU and OSCE election monitoring missions. Increased nominations of female Austrians to leadership positions in EU, UN and all OSCE dimensions. The Austrian NAP does not specify timeframes set for Actions. However, many activities are identified as an “ongoing” and to be reviewed in an annual report. (seen throughout Austria’s NAP). The initial NAP and its revision did not include indicators or actions to formulate strategies for sourcing increased funding, level of funding required for specific activities, or accountability mechanisms to ensure funding is raised and used in implementing the NAP. The Austrian NAP lists measures associated with each strategic objective in its monitoring and evaluation framework. These range from measurable and specific to general and are principally qualitative in nature. Support for measures aimed at strengthening protection, security and human rights, and the total amount of financial support provided. The implementation of the National Action Plan is monitored and supervised by an Inter-ministerial Working Group, which is led by the Federal Ministry for European and International Affairs and comprised of representatives of all relevant ministries and the Austrian Development Agency. 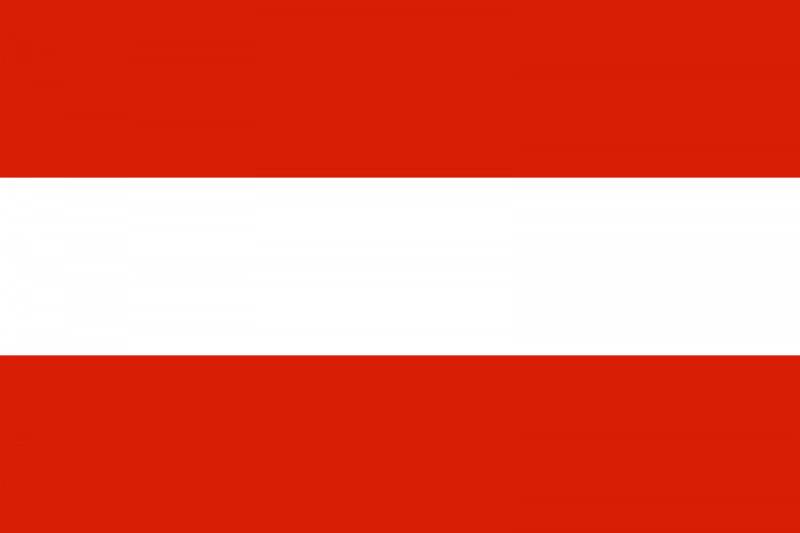 The working group is required to provide annual progress reports to the Austrian Council of Ministers, which is then forwarded to Parliament. Civil society is required to have input in the review process, facilitated primarily through annual joint meetings, and the provision of ad hoc civil society representation to the working group. Civil Society input must be sought in advance of preparing annual reports. As noted, this did not occur during the life of the first NAP. Coordination, Monitoring and Reporting is a priority within the “Activities in Austria” strategic area of the NAP. As such, specific activities, indicators, time-lines and responsible actors are articulated. Annual reports must be forwarded to the Parliament and made publicly available through departmental websites. A comprehensive review of the NAP, in cooperation with Civil Society is scheduled for 2016. Austria's 2012 revised NAP does not specifically mention disarmament.